The director also said that Nivin put in a lot of effort while dubbing for his role. The much-loved Nivin Pauly is arguably one of the biggest and most respected stars in Malayalam cinema today. He enjoys a strong fan following courtesy his good looks and sincere performances. 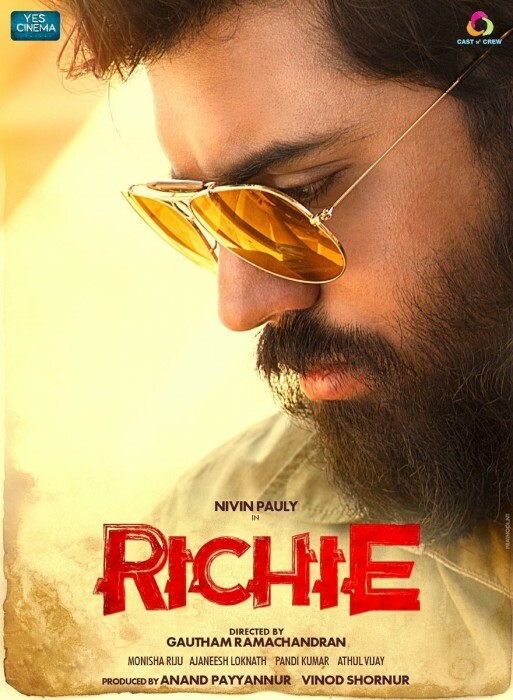 At present, he is gearing up to make his Kollywood debut with the eagerly-awaited ‘Richie’. The film has been directed by Gautham Ramachandran and features the young star in the role of a gangster. Touted to be a crime-thriller, the film has already created a buzz amongst fans and will hit screens on December 8. During a recent chat with the press, Gautham praised Nivin Pauly and said that he had done a fabulous dubbing for his role in ‘Richie’. He added that the star’s growing popularity in Kollywood has given a new identity to the film. “It was fabulous working with Nivin Pauly. His growing popularity among the Tamil audience has given a massive identity to this film. His efforts to look like a native and to dub with the right slang speaks immensely about his commitment,” he added. Well, these are some nice words and are bound to create a buzz amongst his fans. Interestingly, besides Nivin Pauly, ‘Richie’ also has Shraddha Srinath in the lead. The lovely lady has become quite popular in Kollywood thanks to her act in ‘Vikram Vedha’. And, ‘Richie’ could help her continue her rise to stardom. Well, we wish the team of ‘Richie’ good luck and hope that the film finds success at the box office. So, are you looking forward to ‘Richie’? Comments, please!